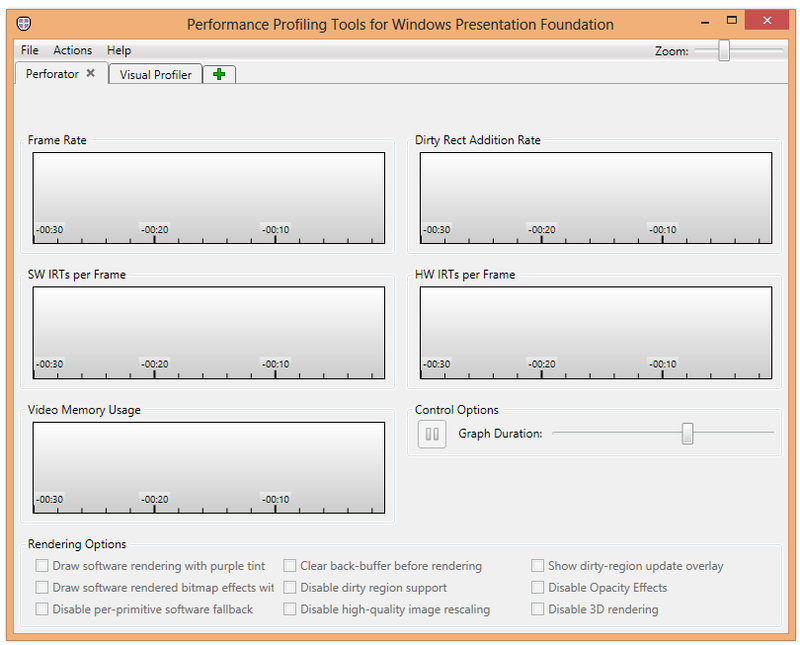 There is a set of tools, known as the WPF Performance Suite, that you can use to analyze the performance of your WPF applications. 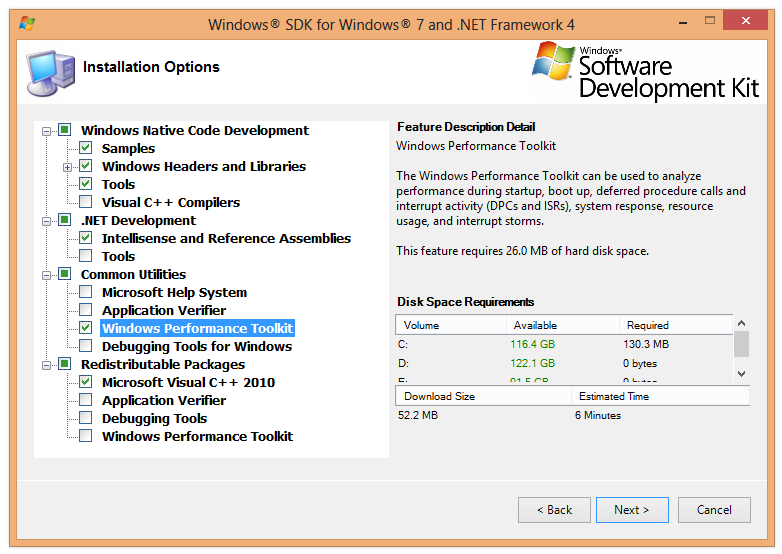 To get access to the WPF Performance Suite, you start by installing the Windows SDK 7.1 . During the install, check the Windows Performance Toolkit option. 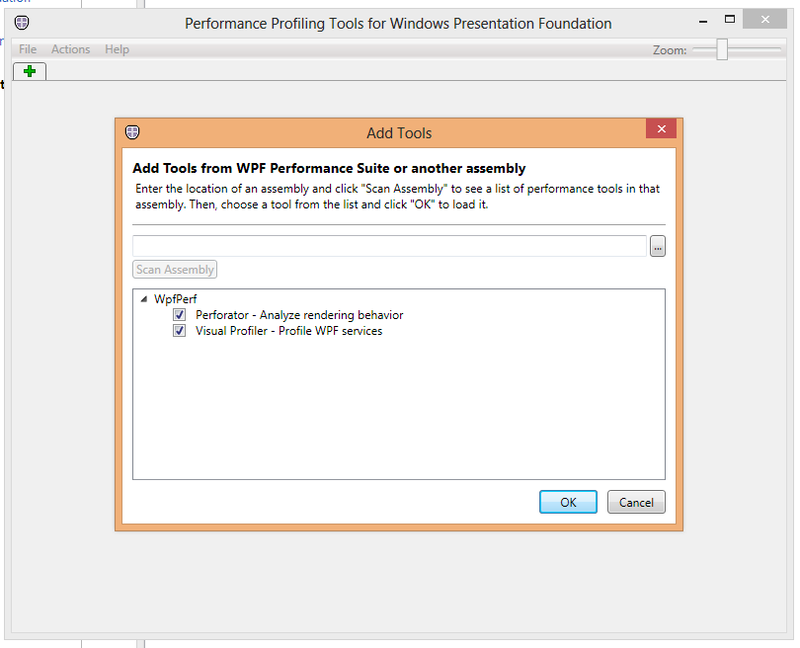 Once installed, you can find the WPF Performance Suite in the start screen under the Microsoft Windows Performance Toolkit section. The first time that you run the WPF Performance Suite, you’ll see an Add Tools dialog. Check the options for Perforator and Visual Profiler. When the performance suite starts up, you’ll see an application with tabs labeled Perforator and Visual Profiler. I don’t see it anywhere. Does start screen == start page? Can you say EXACTLY how I get to it. 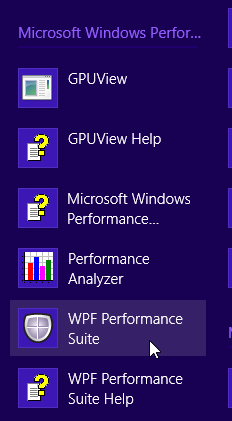 Where is the Windows Performance Toolkit section. Mick, the second screen shot shows you what you’ll see on the Windows 8 start screen (purple background), after clicking on All Apps to see all shortcuts. Or you could just press the Windows key and type “Performance”, then click on the “WPF Performance Suite” shortcut. Could you also please add how to use it or point to some link?